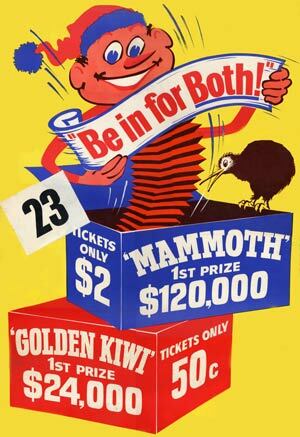 Lotteries were a popular form of gambling, especially after 1961 when the Golden Kiwi lottery was introduced. A Golden Kiwi ticket (No.1) was bought by me a short while after I arrived in New Zealand in 1961. It did not win me the fortune I hoped for. However, I have kept the ticket for posterity!